To remind yourself of your decision to carry the holiday spirit in your heart, consider displaying some small part of your holiday decor to signify your commitment. Remember that giving, whether your gifts are tangible or of the soul, always feel good, whatever the occasion. However you prefer to celebrate the holidays, practicing the ideals of the season every day means experiencing the beauty of the holiday season all year long. 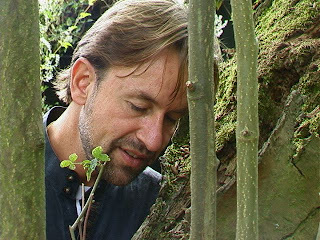 Arjava Petter will be our guest for the 23rd online Usui 21 day Retreat that starts today the 21st of December 2007. I have had the pleasure of being with Arjava several times when I lived in Europe as well as studying with him in the USA on one of our visits to the States. I think of him as a brother and certainly a terrific dance partner in life. He has also contributed several times to the Retreat in the past. Remember it is not how much you do, but your intention to spend even a few minutes will make such a big difference to our world. I have been asked by our friend and dance partner Mari Hall to write the meditations for this year’s Usui retreat. I pondered about what to write for a few days, and looking out across the Mediterranean Sea outside of Athens, Greece, something stirred up the quiet waters. Usui Sensei, our beloved teacher, used some Japanese words and phrases to describe his work, the purpose of his work and the outcome of his work. Some of these words have been translated and explained here and there earlier, but I feel that they have been done some injustice. By understanding these words and phrases clearly, a whole new Reiki Universe opens up and takes you to a deeper understanding of what we all do and love so much. 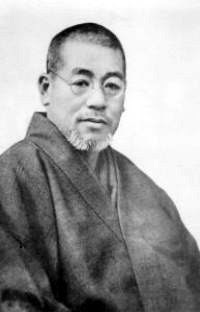 When Usui Sensei described what he had experienced on Mount Kurama in March 1922, with the word “Reiki”, he had something quite specific in mind. To illuminate that, I would like to explain the word for you in detail. The word “Reiki” is made up of two characters. In Japanese those characters are called Kanji (Chinese characters). The reason they are called “Chinese characters” is due to the fact that the Japanese did not have an adequate written language of their own; so they imported the Chinese written language and modified it over the centuries to fit their own needs and their own culture. Just as some words in our languages do suddenly change their meaning, Kanji too may change their meaning with the times. The word “cool” for example used to mean the temperature of something. Nowadays it usually means something else. In Usui Sensei’s time the word “Rei” meant “Soul”, or “Spirit”. Nowadays it is often understood to mean” ghost” or “occult”. (This is the reason that Reiki is not as wide- spread in Japan as it is elsewhere). The first character, “Rei” can be divided into three components. Each part has a distinct meaning of its own. When you understand the word in its totality, you understand Reiki – and you will be able to explain it to your friends and students. The first part of the character for Rei stands for “Ame”- rain. Japan is a volcanic country and as you know, volcanic ash and rain make for fertile soil. So the word “Ame” stands for the cosmic blessings falling from the heavens; the powers that fertilize the Earth. The meeting of Yin and Yang. The second part of the Reiki- Kanji is a simplification of the word “Utsuwa”, meaning container, or human body. It looks almost exactly like Michelangelo’s well-known drawing. In our case this means: The human body is the container for the cosmic blessings (the rains that fall from the heavens). So, all together, the word “Reiki” means “Soul Energy” or “Spirit Energy”. And this is the reason we give someone a treatment or an attunement. We want to help them to be properly connected to the Divine forces once more. For this week, please become as intensely associated with the meaning of the word Reiki. Begin writing it, with a thick pen, one stroke at a time. Feel the rain that fertilizes the Earth, every time it pours down on you. Feel the morning shower cleanse and fertilize your day. Imagine standing under a waterfall and letting it purify your body/heart/mind.Use any situation in your daily life that has any relation with water. Every time you wash your hands…are purified. Also, remember the word Utsuwa, human body /container. For this week be a container for the cosmic blessings. Watch your self, when standing at the bus stop, or at the cash register of the department store. Watch yourself when standing in the garden or in your kitchen. Stand straight, with both feet on the ground, slightly pointed inwards. Breathe into your lower abdomen. Move your pelvis slightly backwards and let the lower abdomen come out. Let the shoulders relax and allow the air to come into the body and go out of it just by itself. Become a container for cosmic energy. Feel how it fills you, how it comes and goes. Feel like a hollow bamboo, a flute, a perfect conduit for the cosmic blessings. Become aware of the fact that you are just a medium. Nothing in this world is yours, yet everything is yours. You are a conduit for the divine forces and you are the divine forces. You and the energy are one. Feel this whenever you remember my words. Celebrate your Oneness with the Cosmos for this week and enjoy every moment of it. I'm uanble to reigister for your newsletter or the retreat at your website. Please add me to both.